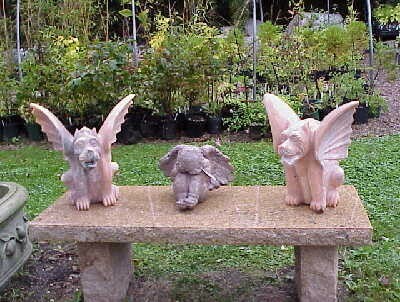 These are wonderful and perfect for the garden. 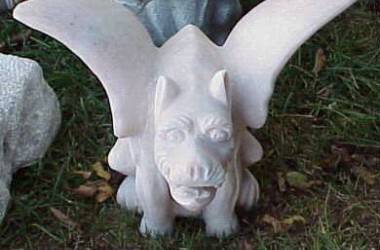 The gargoyle traditionally protects the garden. 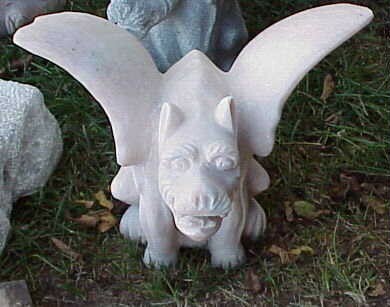 We have often seen these in grey granite, but never in this pink sunset marble from China. These would be great as a gift either for a friend or yourself. Price on invoice will reflect 25.00 postage.We type the invoice in the office again before charge is made in case our Shopping Cart miscalculates postage slightly. This is suitable for home or garden.